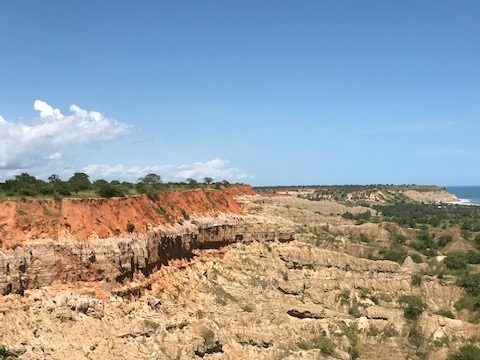 Home of the previously thought to be extinct giant sable antelope, a very rare species naturally found only in Angola. Top exports: crude petroleum, diamonds, coal tar oil, refined petroleum, and petroleum gas. The capital of Angola is Luanda and the country’s population is about 25 million. 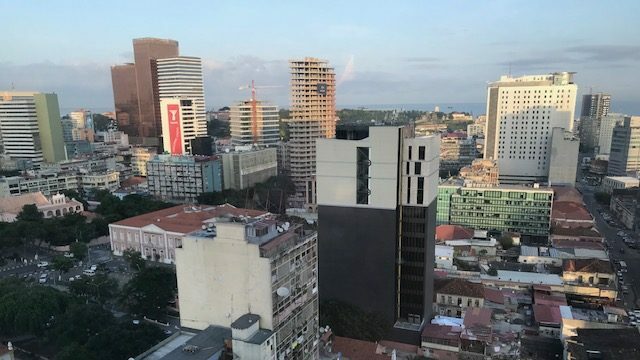 Take note that Angola’s capital, Luanda, has been in recent years one of the most expensive cities in the world due to Angola’s rich oil and mineral resources that have in turn driven up prices of goods in more expat-dominated areas of the city. Angola is a primarily Christian country, with a mix of Roman Catholic and Protestants. The rest of the population holds more traditional beliefs. The official language is Portuguese due to Portugal’s influence over the country until its independence in 1975. Many people speak English or French as well. The time zone is 5 hours ahead of EST. Travelers visiting Angola should take advantage of its absolutely breathtaking nature. The Tundavala rock formations has incredible views of the country from up high, with lush rolling hills and long rock canyons. Those who come here should take care to keep their trash and other litter pocketed away somewhere in their backpacks, as this helps keep the area pristine. Also incredible are Kalandula Falls, where rainbows can actually be found reflecting off of the water when visiting under the right weather circumstances. The view is amazing! Note: Many travelers are familiar with the Christ the Redeemer statue in Rio de Janeiro, Brazil, however there is another similar statue in Lubango as well, which is close to the more recently built Lubango sign that resembles the “Hollywood” sign in Los Angeles. 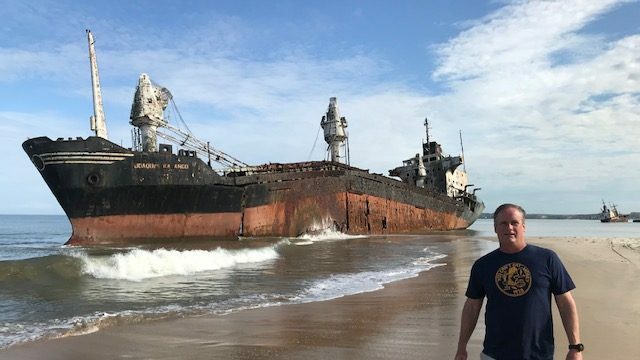 Also interesting to see – though difficult to get there – are the shipwrecks near Luanda on the coast, where old ships can be seen nestled between sand and sea. Jim’s Perspectives: The country of Angola has been difficult to visit, mostly due to the process of obtaining a Visa to travel here has been so cumbersome. I had to fly up to Washington DC, get fingerprinted, supply multiple documents, and then cross my fingers … hoping I’d be approved. Fortunately, that has all changed now, with most visitors able to get a visa-upon-arrival. 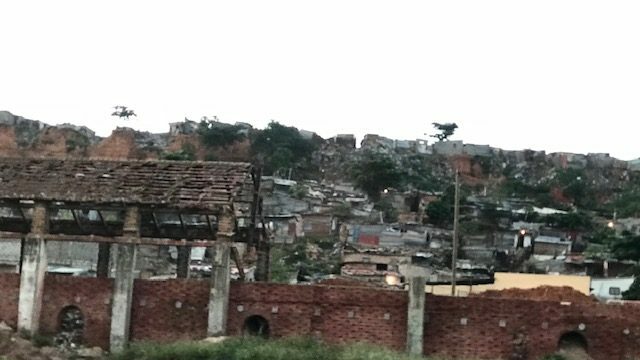 Angola has been one of Africa’s most war-torn countries, with rival factions battling between 1962-2002, and the country is just now beginning to recover. Downtown Luanda, is a city of contrasts. New 5 star resorts sit next to apartment buildings which have long ago passed their expected life spans. The city, one of Africa’s most modern (surprisingly) reminded me a bit of Rio. The large sky scrapers dominate the skyline, however when seen up close … they aren’t nearly as impressive. Luanda’s streets are wide and many cars are new. Shops are plentiful and the commercial districts through out the city are teeming with people in this sea-side city. I’ve noticed in my travels through Africa, that Angolans have a distinct character about them. Let me illustrate it this way: When I arrived at the airport at 5am, two taxi drivers were having a LOUD disagreement about who would transport an elderly couple I had been sitting near on my flight. The locals seemed to enjoy the sport of arguing … and did so vociferously, complete with highly exaggerated hand gestures. Angola, one of Portugal’s five main colonies (along with Cape Verde, Sao Tome, Equatorial Guinea and Mozambique) is incredibly rich in natural resources, including oil, diamonds, iron, copper and gold. It too turned Communist after Portugal withdrew in 1975, and that alliance still continues with Russia even today. I got the opportunity to travel to the “Cemetario des Barcos”, or the Ship Cemetary on Santiago Beach. Although it’s a bit difficult to get to this beach (you’ll definitely need an SUV), and although the beach is full of litter, it’s worth the trip. The Joaquin Kavongo is a MASSIVE transport vessel that literally is on shore during low tide. This was an awesome sight and has to be one of the top things to do in Angola. Before the new port was built in Luanda, this served as the deep water port for the country. During storms, with nothing to tie to, some ships washed to the shore. Others were just abandoned there because it was much cheaper to do so. 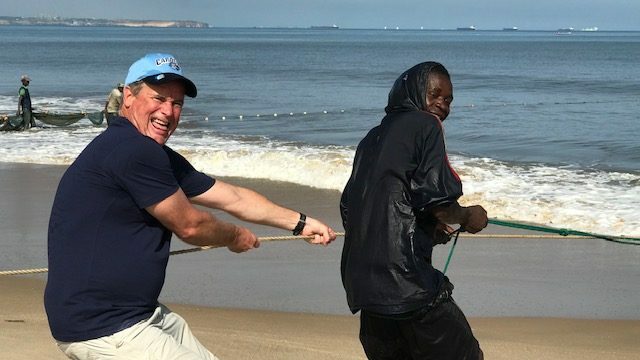 One of the highlights of my time in Angola was helping the local fishermen. The surf was rough and the nets were full … mostly (4/5) of garbage! The other 1/5 were tiny sardines! Speaking of garbage … the city needs a better sanitation plan as trash clogs the streets of Luanda. Visited the Miradores de la Luna, a weird landscape that approximates what the surface of Mars looks like. Cool … but not worth the long trip there. What is recommended: Take an early morning drive to the Kissama Reserve, 1.5 hours from Luanda. Leave your hotel at 5am, have breakfast at Kissama, do an early morning game drive, and then see Miradores on the way home!